Welcome to the genomics era! 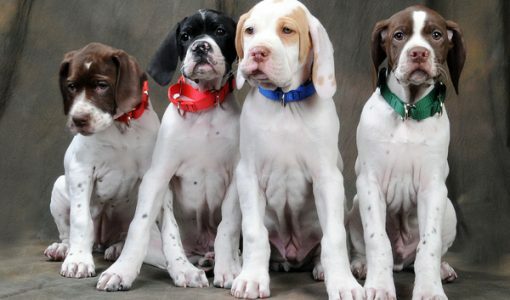 Suddenly panels of genetic tests for dogs are relatively affordable for the average pet owner. These tests claim to tell you what your dog’s breed ancestry is (for those of us with mystery mixes) and to give you a heads-up about possible health issues. However, although similar direct-to-consumer testing is carefully regulated for humans, there is no regulation in place for them in veterinary medicine. Additionally, while trained genetic counselors are available to help interpret these results for your human family, no such speciality exists among veterinarians, and general practice veterinarians are not typically trained in this area. How much can we trust the results of these tests? Are some tests or companies more reliable than others? 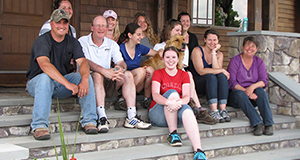 Dr. Hekman is a veterinarian and a genomics researcher who studies canine genetics. She will explain how these tests work, and will build on that explanation to explain the differences between various products, and which products are helpful in which situations. 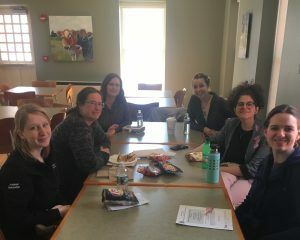 MAPP students got to talk with Dr. Jessica Hekman after her presentations, along with two from the lab with Dr. Hekman, and MAPP Behavior instructor Seana Dowling-Guyer.